Lock in a great price for Sofia Place Hotel – rated 8.9 by recent guests! The location for the property is the best. 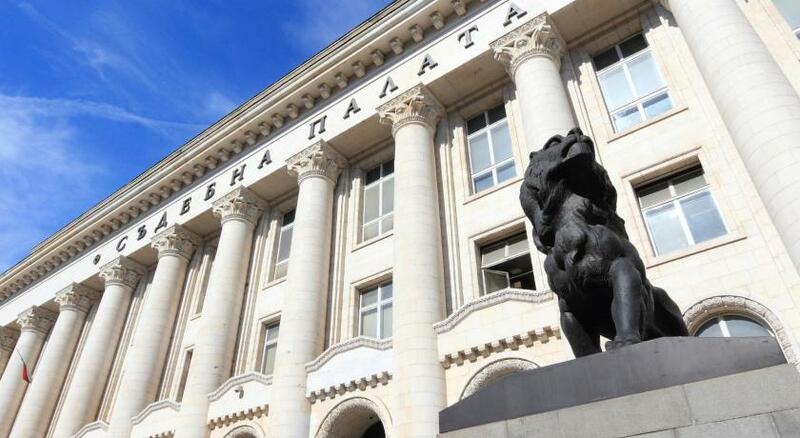 It is one block away from Vitosha boulevard. And is also about 5-7 mins to Serdika subway station. The apartment has all the basic needs like stove and clothes washer, whether you are traveling alone or with family. The buffet breakfast was sufficient and included in the price. The hotel location was great for nearby coffee, bars, and restaurants. The staff was helpful, quick, spoke English, and offered help for minor issues. They arranged a shuttle to the airport on our last day. Great location at a very reasonable price. The two-bed apartment was very comfortable and the toilet was also pretty large. Clean, well equipped, not worn out. It was just a simple hotel. Close to the city centre and that famous street. Staff was very friendly. BREAKFAST WAS AMAZING! Thanks for letting us in at 10am in the morning although the regular check in hour is lot later. The position is fantastic! The room is spacious. Loved the balcony. Staff are lovely. Breakfast is basic and tasty. Price is great!! Will return! This hotel is located one block from the main pedestrian street with shops, cafes and restaurants. It's about three blocks from the main center of the city and the start of walking tours but the road seemed quite quiet. The room was very large with a seating area, comfortable bed, big bathroom and small balcony. Staff was friendly and helpful. Location, staff, comfortable and clean, private parking 15E/day, at city center. 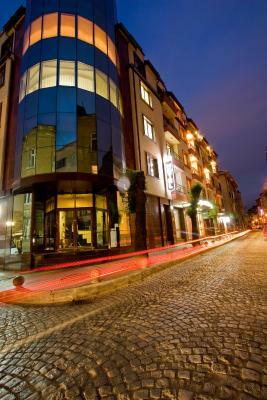 Excellent location in centre of Sofia just around the corner of Vitosha street, famuos zone with shops and restaurants. Sofia Place Hotel This rating is a reflection of how the property compares to the industry standard when it comes to price, facilities and services available. It's based on a self-evaluation by the property. Use this rating to help choose your stay! One of our top picks in Sofia.Centrally located, Sofia Place Hotel is a 7-minute walk from St Sofia Cathedral and close to the pedestrian part of Vitosha Boulevard. It offers free internet access and a 24-hour reception desk. The air-conditioned rooms at Sofia Place Hotel come with a mini-bar, flat-screen cable TV and a seating area. Each room is decorated in soft cream colors and is equipped with a work desk and private bathrooms. The in house bar offers drinks and local spirits until late in the evenings. Breakfast , brunch and a wide selection of à la carte choices can be enjoyed at the on-site restaurant. 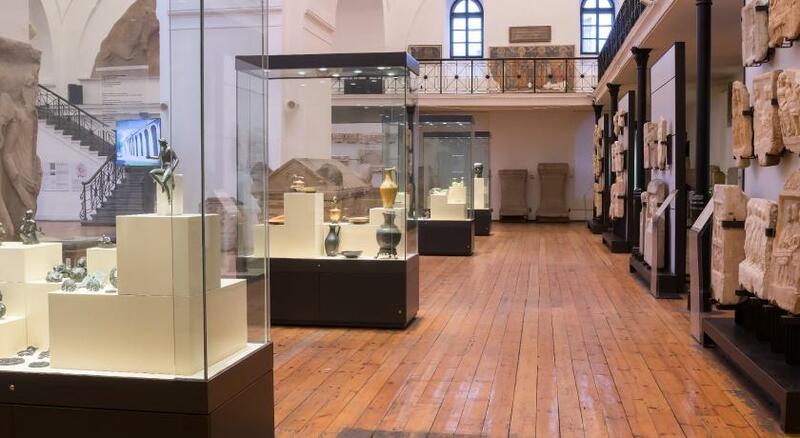 Popular nearby attractions include the National Gallery for Foreign Arts and the church of St. George, both within 1,950 feet from the Sofia Place Hotel. Serdica Metro Stop is a 10-minute walk away. Airport transfers from Sofia Airport are available. When would you like to stay at Sofia Place Hotel? Air-conditioned rooms with flat-screen cable TV and a private bathroom with shower and free toiletries. Private parking is available on site (reservation is needed) and costs BGN 40 per day. House Rules Sofia Place Hotel takes special requests – add in the next step! One child from 2 to 12 years is charged BGN 19.56 per person per night in an extra bed. Sofia Place Hotel accepts these cards and reserves the right to temporarily hold an amount prior to arrival. -weight up to 2.5 tons. The breakfast. The hot food was very greasy and lying too long in the heater. The coffee was tasteless. The cold food was ok. There was a kettle in the room but no coffee/tea etc. The hotel was very clean and in a great location. Comfortable beds and clean bathroom. Reasonable value for money. Good beer shop right next door. Lovely service. Good location in the middle of central Sofia. Big room with comfortable bed. The breakfast buffet had both Cold and hot dishes. Many thanks for the great staff who was so nice and welcoming and helped us with whatever we needed! The staff were all very friendly, excellent breakfast, perfect location close to Vitosha street. Breakfast was not rich, food (eggs, sausages) was always cold, no matter when I came to breakfast. The room was large, the bed was comfortable. Great central location. 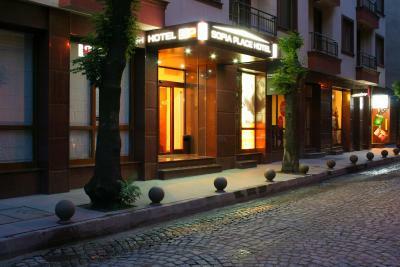 The hotel provided a lot of information about available tours of Sofia. Getting the airport shuttle was easy to arrange and was a great value. The breakfast was great as well. Tea, coffee and milk were not provided in the room. The size of the room was very good. The staff were friendly and polite. Bathroom facilities were excellent, cleaned daily. Location was central with attractions, shops and restaurants within 5 minutes walking distance. There were plenty of pillows available in the room. Airport transfers arranged by the hotel were excellent and good value. The room had an angled roof window, that was not possible to open. Also it was painted that is why the room had no enough daylight. Toilet seat was a bit high for normal size people. There is a kettle in the room but no coffee cups etc. But the housekeeper lady was very kind and brought us 2 coffee cups. Very central location, just few steps away from the main street Vitosha. Room was spacious with a small balcony. Hotel Is really in the center!100m ! These is also a parking for your car, which is really an amenity as there is a time limit for the open street parking! The room was really clean, and the personnel friendly and polite! See you in our next visit!